AO Vostochny Port, operator of Russia’s largest dedicated coal port (run by Port Management Company, PMC LLC) says it handled 8.1 million tonnes of premium quality export coal in January-April 2018, up 1%, year-on-year. In April, coal exports totaled 2.09 million tonnes. In the 4-month period, Vostochny Port unloaded 106,100 open-top railcars including 82,300 innovative railcars (railcars of increased capacity) accounting for 78% (up 19 percent points). In April 2018, the company handled 27,600 open-top railcars (up 3.3% year-on-year). 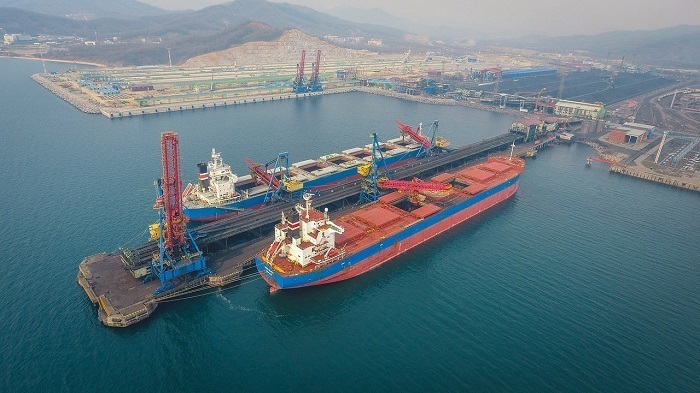 On April 6, Vostochny Port achieved a record of daily unloading — 1,117 open-top railcars (82,800 tonnes of coal) having exceeded the norm of Russian Railways (1,070 units) and its own record achieved earlier (1,066 units). In January-April the company loaded 188 dry bulk cargo carriers of different capacity including 60 Panamax ships (32%) and 21 Capesize ships (11%). In April 2018, Vostochny Port handled the 300th capesize ship in its history. The FPMC B Guard (deadweight – 180,000 tonnes, length - 295 meters) was loaded with 143,000 tonnes of premium quality coal bound for Taiwan. That was the largest ship handled over the recent months. During four months the company exported coal to S. Korea, Japan, Taiwan, India, China, Malaysia, India, Pakistan, Thailand, Vietnam and Myanma. Most of coal was dispatched to S. Korea (35%).